For Arcand, the written Cree language is not only imbued with cultural significance — it's an aesthetically beautiful form all unto itself. For visual artist Joi Arcand, the written Cree language is not only imbued with cultural significance — it's an aesthetically beautiful form all unto itself. She believes that the Cree language deserves to be more visible to the general public. In the video, you'll see how Arcand is exploring this concept using neon signage in her installation at the Winnipeg Art Gallery's Insurgence/Resurgence exhibition. 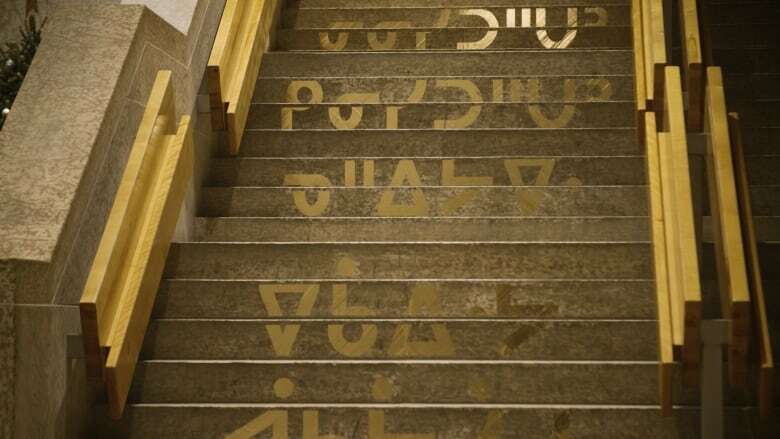 Arcand drew inspiration from the common expectation of how language appears on street signs and shop windows. "As a person just walking down the street, I started to see the shapes of the syllables in traffic signs," she reflects. "So I just decided — what would the world look like through this lens?" 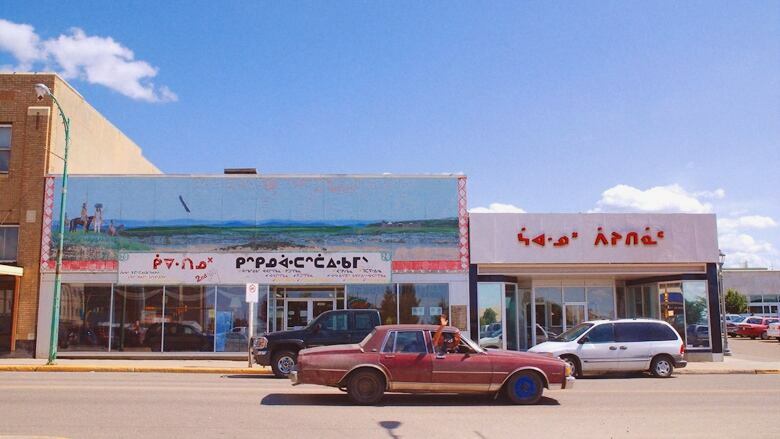 Some of her past work depicts a world where English and French signage is replaced with the Cree language — and the results are a bit startling. Of course, Arcand is completely okay with it if some people end up feeling unsettled. "Sometimes I don't provide translations because I don't necessarily want that immediate satisfaction of being given the right answer," she says. "I like to challenge viewers to look up what it means and maybe even learn a bit of the language on their own." 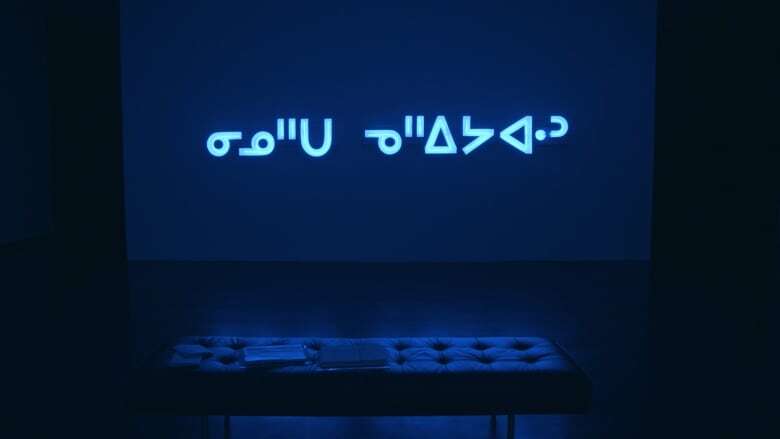 Joi's latest creations, currently being shown as part of Insurgence/Resurgence at the Winnipeg Art Gallery, include a giant blue neon sign and golden lettering marking the stairs. This series of Insurgence/Resurgence artist profiles is a collaboration between CBC Arts and CBC Indigenous. Check out the rest of the series here. 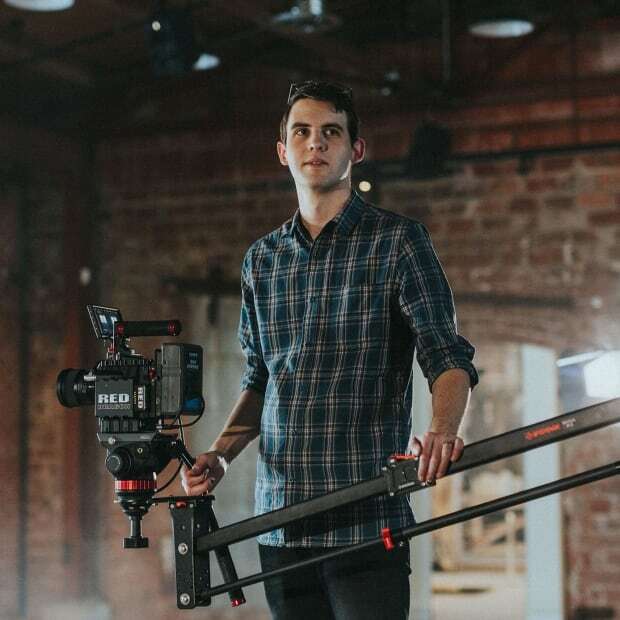 Jeremy is a self-taught filmmaker living in rural Saskatchewan, somehow still finding opportunities to tell creative stories with a camera. He can be found at jeremyratzlaff.com.